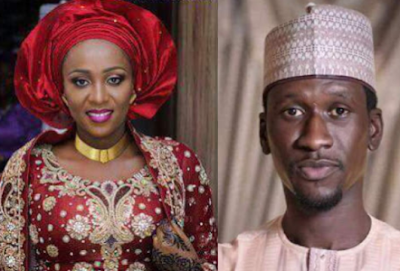 Maryam Aliyu, from Kebbi State, has come to the defence of her namesake, Maryam Sanda, who stabbed her husband, Bilyami Mohammed Bello to death in Abuja. "Many people weighing into these Maryam Sanda and Bilyaminu Halliru talk ignorantly without knowing the details. There isn't enough evidence that she committed the said murder, matter of fact the only mystery proven is he was a cheating piece of filth and if you ask me, he got what he deserved. I'm leaning more on the argument that he died in a fight and it was not a cold blooded murder. Stay strong Maryam, Allah is with you." she wrote. Maryam stabbed Bilyamin Muhammed Bello three times in the back and severally on his private parts in the early hours of Sunday, at their residence in Pension Estate, Pakali Close, Wuse 2, Abuja. She drove the deceased to Maitama hospital where he was confirmed dead. The couple got married in 2015 and only has an eight-month-old daughter.